If you are looking for a car but are not able to commit the time to finding a new (or pre-owned) one, or if you simply feel put off at the prospect of wading through the pros and cons of numerous different ‘deals’, then we can help. We will also assist you in getting the best possible price for your existing vehicle. Not only do we eliminate the hard work of finding your perfect car, but we also negotiate the best prices and deals available and our friendly and personal service is one that you can trust. 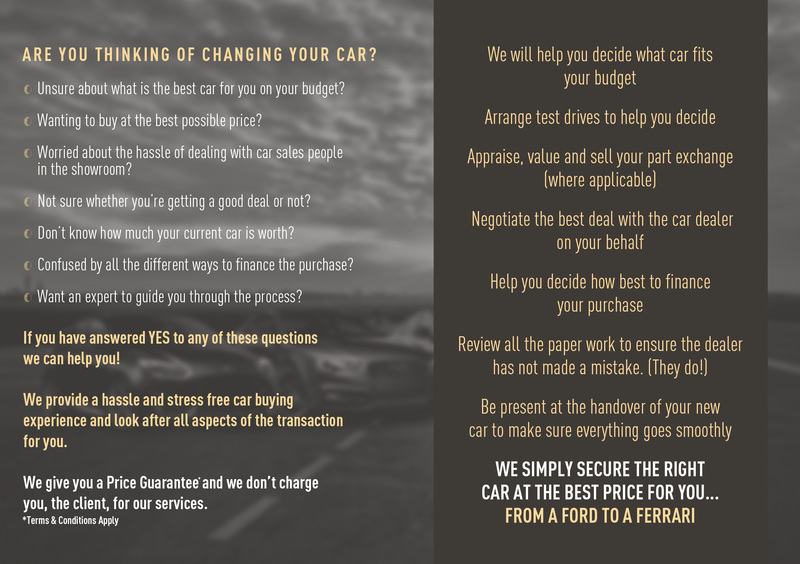 We will also help you make an informed decision as to how best to finance (PCP, HP, personal and business leasing etc) your new or used car as car finance plans can be a minefield for many people. Exclusive deals. We have at our fingertips, some of the most desirable vehicles at the most favourable of prices, thanks to our substantial network of prestigious automotive contacts throughout the UK. This allows us to take away the preliminary research and time needed to get an excellent deal on a new or pre-owned vehicle. More time. Your time is completely freed once we have discussed your initial requirements. There’s no need to traipse through showrooms and forecourts confronted with convoluted price packages. We cut through the jargon to get you the most favourable deal, specific to your needs and wants. We speak with you on the phone to discuss what it is you are looking for and confirm details by email. 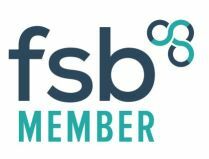 We would ideally arrange to meet with you at your home or office to ensure we completely understand your requirements and this is particularly important when you have a part exchange that we need to dispose of as part of the deal. In this instance we will carry out a professional and full appraisal of your current car, including photographs, to ensure we are able to secure the very best price for it from our network of dealers. At UK Prestige Car Brokers, we can also take care of part-exchanges or help you realise the equity in your current car. This will save you the trouble of selling your old car privately, dealing with the online car buying websites or having to barter with dealerships. Often, we can secure an arrangement with the dealership who is supplying your car. In cases where we feel we can get you a better deal, we will utilise our network of contacts to secure a more favourable price. We work with an extensive and varied group of contacts to provide the service we do. 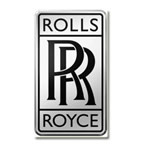 We have strong links with all the major prestige car franchises throughout the UK, including, but not exclusively; Ferrari, Maserati, Bentley, BMW, MINI, Mercedes, Audi, Volkswagen, Aston Martin, Land Rover, Rolls Royce, Jaguar, Porsche, Lamborghini, Lotus, Volvo, Lexus, Ford, Vauxhall, Toyota, Nissan, Peugeot and Citroen etc. We also work with a select group of high quality independent specialist dealers. UK Prestige Car Brokers provide an unrivalled service, however, our clients do not return to us for this reason alone. We apply an honest and impartial approach to our work, this work ethic has allowed us to carve out and nurture long-lasting relationships with both clients and dealers. We are in contact with our larger franchised dealerships as well as our specialist dealers everyday and we keep fully abreast of new prices, model launches and special offers. We help our clients buy the right car at the best price with a hassle free experience! If you would like to find out more about our services, or would like to get the ball rolling to find your new (or pre-owned) car, then please call us today on 01422 230689 or click here to contact one of our Regional Offices.